A tradition of quality, service and reliability. Ash Grove Cement Company is a leader and pioneer in the cement industry. For 137 years, we have provided portland and masonry cements to construct the highways, bridges, commercial and industrial complexes, and single- and multi-family homes fundamental to America's economic vitality and quality of life. In 2018, Ash Grove shipped 8.3 million tons of cement from eight cement plants and its network of terminals located throughout the Midwest, Texas and Western United States. Ash Grove is known for quality, reliability and a commitment to safety. 5th-largest cement producer in U.s.
Be the Low-Cost Producer through production excellence. 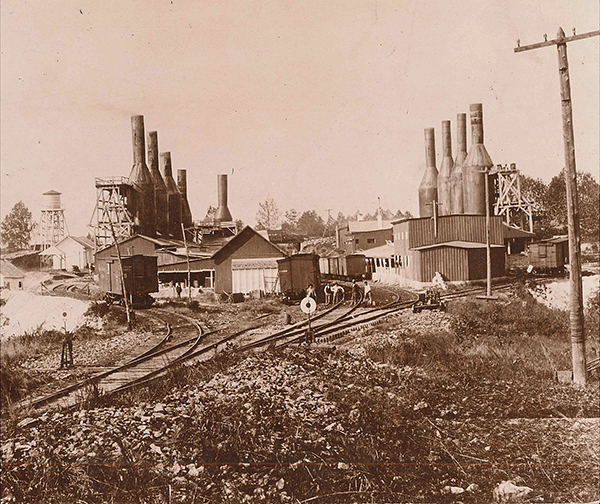 In 1877, James H. Barton establishes a lime kiln near Ash Grove, Missouri. W.B. Hill and O.J. Hill joined the enterprise in 1880 and in 1881 Chales W. Goetz financed a $10,000 expansion. Ash Grove White Lime Association is officially incorporated in Ash Grove, Missouri. The lime is used for construction and sanitary purposes. 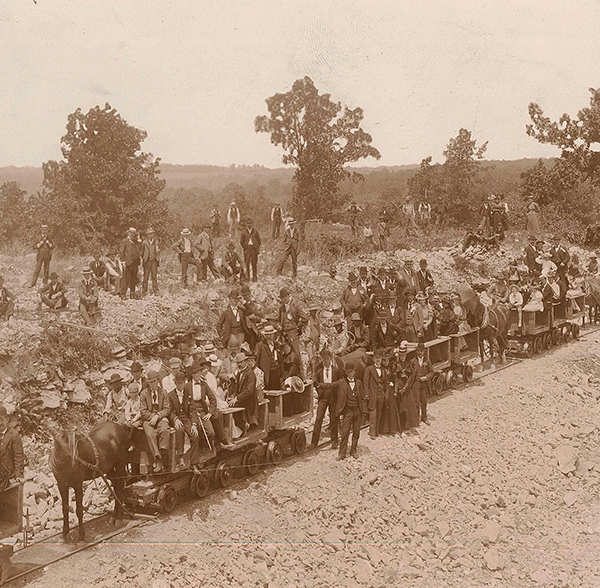 Early Ash Grove White Lime Association employees gathered along the rails in Ash Grove, Missouri. Ash Grove main offices moved to the Builders Exchange building in downtown Kansas City, Missouri. Eight kilns were operating. Lime produced at the Ash Grove Springfield plant wins top honors in Louisiana Purchase Exposition. Company reorganized as Ash Grove Lime and Portland Cement Company. 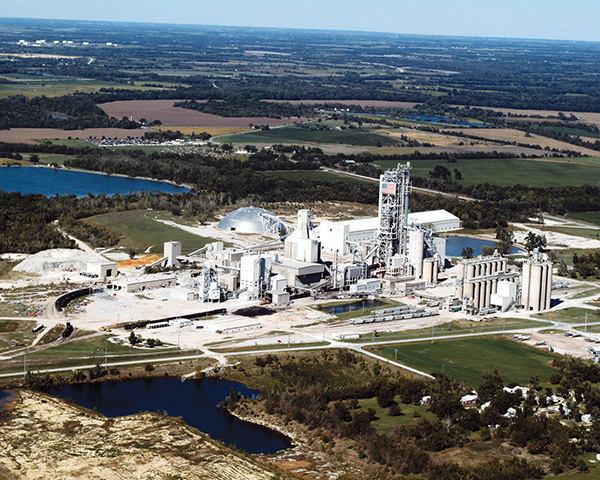 Ash Grove opens first cement plant in Chanute, Kansas, producing 120,000 tons of cement per year. Today the Chanute plant produces 1,642,500 tons of portland cement each year. L.T. Sunderland moves to Kansas City from Omaha to accept the position of vice president and manager for Ash Grove Lime & Portland Cement Company. L.T. Sunderland elected president of Ash Grove Lime & Portland Cement Company in 1913, and then elected president of the Portland Cement Association in 1921. Construction is completed on the company’s second cement plant, located in Louisville, Nebraska, producing 240,000 tons of cement per year. Today the Louisville plant produces 1.1 million tons of cement per year. New kiln installed at Louisville plant, increasing production to 375,000 tons annually. Ash Grove cement transfer station completed in Kansas City, Kansas, to handle truck deliveries. Ash Grove invests in new plant construction in Chanute, Kansas. Chanute, Kansas — Modernization of Chanute plant increases capacity to 500,000 tons annually. 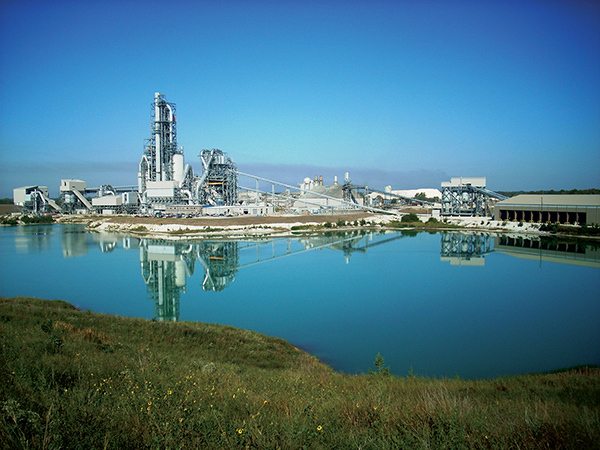 Rivergate, Oregon — Lime plant constructed to supply calcined lime products to the Pacific Northwest. Ash Grove opens its first research lab, located in Kansas City, Kansas. Company name shortens to Ash Grove Cement Company. Three-phase modernization of Louisville plant increases production to 1,000,000 tons of cement annually. Company acquires Oregon Portland Cement Company in Durkee, Oregon, and Inkom, Idaho, and Quarry in Blubber Bay, British Columbia. Seattle, Washington, plant acquired. 790,000 tons of cement per year once recommissioned in 1992. Capacity: 1,000,000 tons of cement produced per year. Introduction of packaged products in Arkansas and Mississippi through the acquisition of Arkansas Cement Company. Montana City, Montana, plant acquired. Capacity: 320,000 tons of cement produced per year. 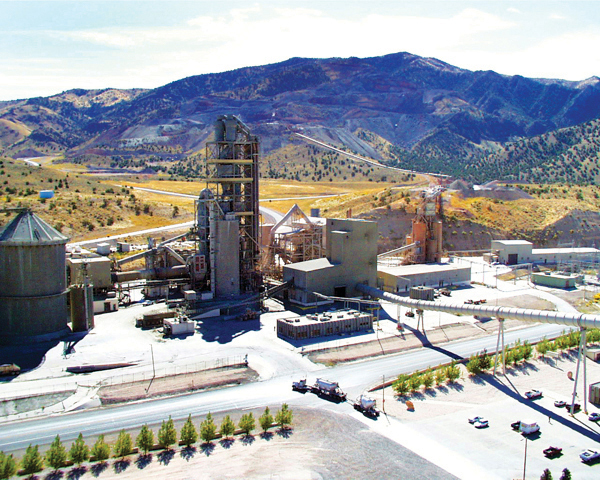 Ash Grove purchases cement plant in Leamington, Utah. Capacity: 600,000 tons of cement produced per year. 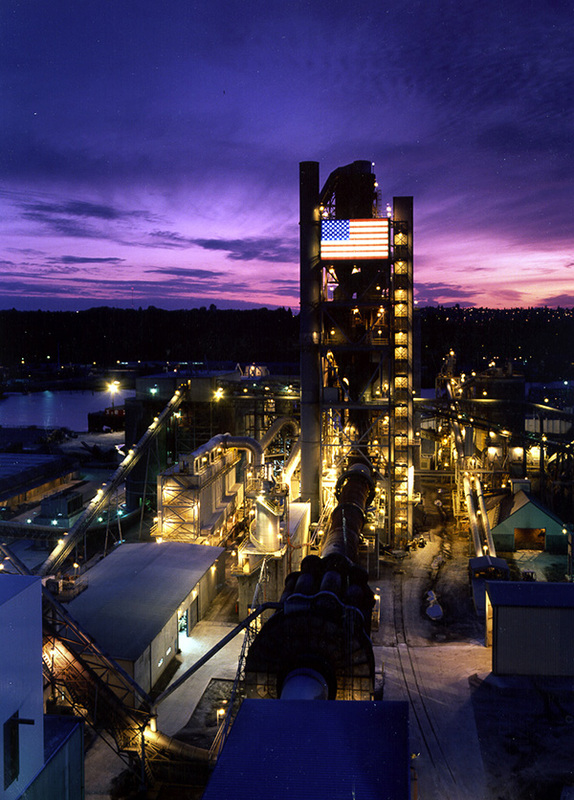 Expansion and modernization of Seattle, Washington, cement plant. Capacity: 790,000 tons of cement produced per year. 50% of North Texas Cement Company (Midlothian, Texas) acquired. Capacity: 900,000 tons of cement produced per year. North Texas Cement Company builds its first import terminal in Houston. Capacity is 1,000,000 tons in annual throughput. Ash Grove acquires Lyman-Richey Company. Chanute, Kansas, plant undergoes major expansion and modernization. Capacity: 1,642,500 tons of cement produced per year. Ash Grove takes major stake in Texas and solidifies position as fifth largest U.S. cement producer after taking full ownership of Midlothian, Texas, cement plant. Ash Grove moves into new headquarters building in Overland Park, Kansas. 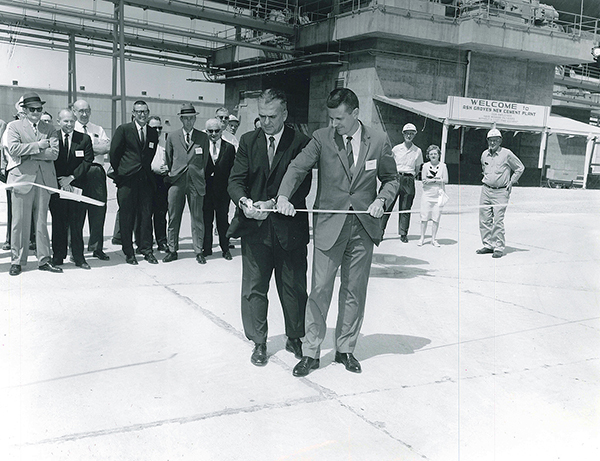 Houston Cement Company founded in joint venture between Ash Grove Cement, Alamo Cement and Texas Lehigh. New terminal constructed with total venture capacity of 3,000,000 tons of throughput per year. Company acquires import terminal in Portland adjacent to existing distribution terminal. 1,000,000 tons of throughput per year. Ash Grove acquires Holliday Sand & Gravel Company. Major plant modernization completed at Foreman, Arkansas, plant. Capacity: 1,527,500 tons of clinker produced per year. Ash Grove’s entire fleet of eight operating cement plants earn ISO 14001 certification. Ash Grove Cement Foreman achieves recertification of its wildlife habitat for its “Wildlife at Work” and “Conservation Education Site” designations from the Wildlife Habitat Council. Ash Grove increases ownership of Johnson County Aggregates from 50% to full ownership. Ash Grove’s Midlothian, Texas, plant achieves early compliance with new federal regulatory standards with $150 million modernization. 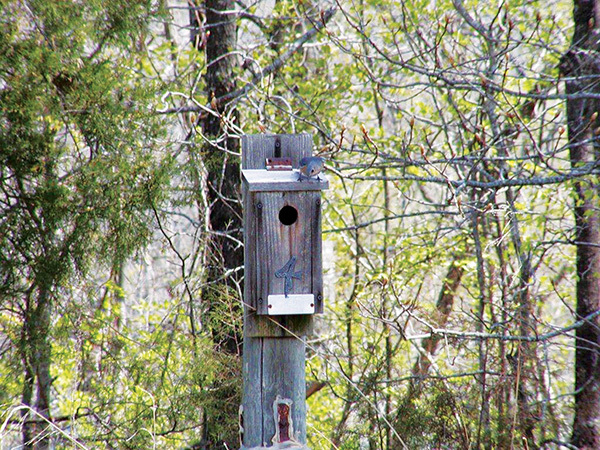 Ash Grove Cement Midlothian’s wildlife habitat earns “Corporate Lands of Learning” certification from the Wildlife Habitat Council. Opened Fort Worth, Texas, terminal. Ash Grove Packaging builds a greenfield plant in Oklahoma City and acquires Central Mortar and Grout in Muskogee, Oklahoma. Holliday Sand & Gravel acquires Haskell Sand in Haskell, Oklahoma. Ash Grove Cement expanding Oklahoma City terminal. 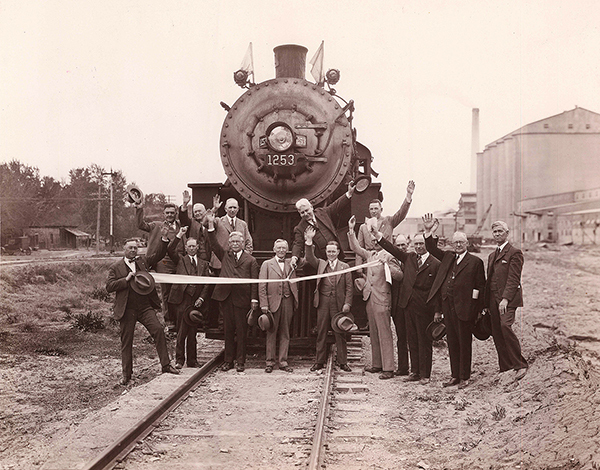 1882 – 2017 Ash Grove Cement Company celebrates 135 years in business. Ash Grove Cement is purchased by CRH plc, the largest building materials company in North America and the second largest worldwide. Lyman-Richey Corporation is based in Omaha, Nebraska and supplies ready-mixed concrete, sand, gravel and related construction materials through its operating companies to customers in Nebraska, Iowa, South Dakota and Colorado. Ash Grove Packaging is a supplier of packaged concrete mix, cement, mortar, stucco and other related construction products through its facilities in Arkansas, Mississippi, Tennessee, Oklahoma, Kansas, Nebraska and Utah, with headquarters in Little Rock, Arkansas. Ash Grove Packaging operates nine plants, including a recently acquired plant in Tulsa, Oklahoma. Ash Grove Aggregates is a multi-location limestone producer with quarries in Kansas and Missouri, serving the Southwest Missouri and La Cygne, Kansas, markets. Their mission is to be the producer of choice in the crushed stone industry. Fordyce Concrete supplies ready-mixed concrete to the Kansas City area, specializing in complex, high-volume, paving and structural-specific projects. Century Concrete supplies ready-mixed concrete to the Greater Kansas City area, through four strategically placed plants located in Kansas and Missouri. 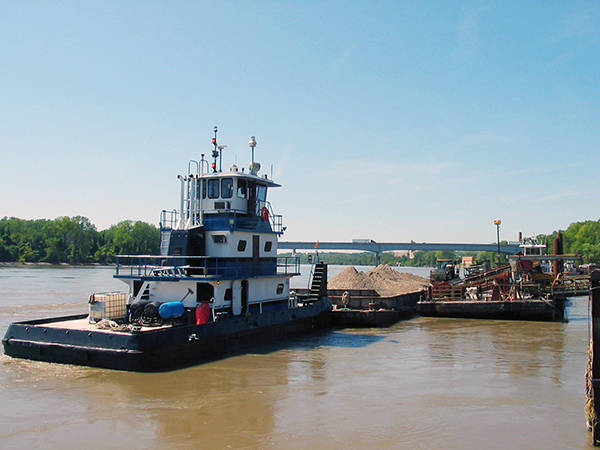 In business since 1943, Holliday Sand & Gravel supplies construction aggregates to the Kansas City and Tulsa markets. Ash Grove Resources, L.L.C. supplies cement and cement kiln dust to the soil stabilization industry in the Midwest and Texas. Material Transport Company specializes in the hauling of sand, rock and cement. Deliveries are tailored to customer needs through the use of dump trucks, end dump trailers and tankers. Serving the greater Kansas City area. The Ash Grove Charitable Foundation makes grants annually to support the work of public charities with tax exempt status under section 501(c)(3) of the Internal Revenue Code in the geographical markets that we serve. As the fifth largest cement company in the United States and one of the oldest still in operation, Ash Grove plays an important part in the foundation and infrastructure of our country. And with eight plants from the Midwest heartland to the South to the shores of the Pacific, being a good neighbor in the communities in which we live and serve is a priority and part of our DNA. Ash Grove territory is a lot of ground to cover. We believe in active participation to improve the existing and future quality of life in the communities we serve. This participation includes financial support to charitable activities. We aren’t just focused on building highways and buildings – we are also helping to build better communities. We're honored to be part of the communities in which our employees live and work. In 2018, the Ash Grove Charitable Foundation donated approximately $650,000 to more than 100 public charities.